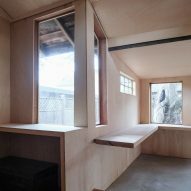 San Francisco studio ArcHive's remodel of this 1900s structure into a workspace for a seamstress involved sheathing the walls and ceiling in birch plywood. ArcHive undertook both the design and building work for the Seamstress Studio Remodel project in Pacific Grove, a coastal town in Northern California. The former carriage house was built in the 1900s, and was found decaying and infested with spiders. On an "incredibly limited budget", the studio rebuilt the structure from the inside-out. A corner wall dividing the space in two was taken out, and the south facade swapped for glazing. 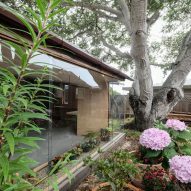 "Pacific Grove is notorious for its abundance of fog, so the south wall was removed and replaced with glass to allow the maximum amount of natural light," said ArcHive, which is run by principals Sepideh Majidi and Shaum Mehra. "A gravel filled trough just inside the glass creates a space for potted plants, and allows for a seamless connection to the surrounding garden." 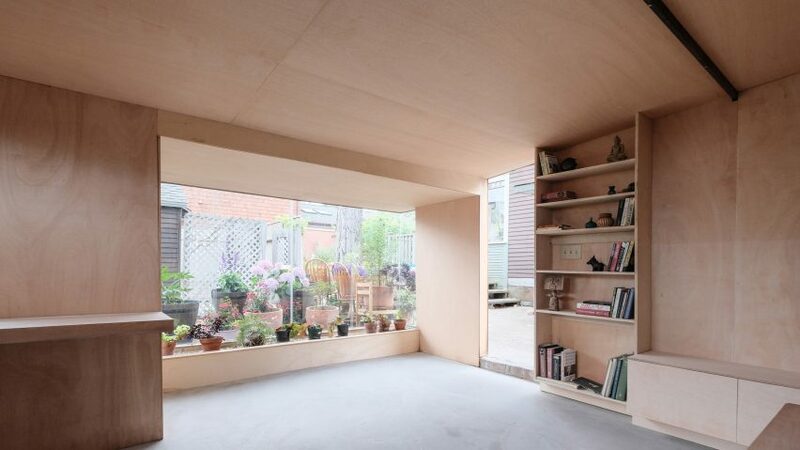 The remainder of the walls and ceiling are covered in sheets of birch plywood to create continuity between the surfaces. 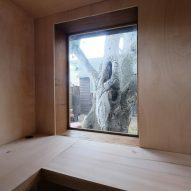 The same material is also used to line the interior of a sewing studio in north London, which differs with a cork-covered outside. In California, the plywood forms built-in seating and shelves, while a section of local, reclaimed pine was ripped in half and used to create an L-shaped corner work station. Darker timber creates a raised floor in one corner of the space, beneath a section of pitched roof, and provides structural support in the form of exposed beams and columns. Photography is by Dan Hogman.